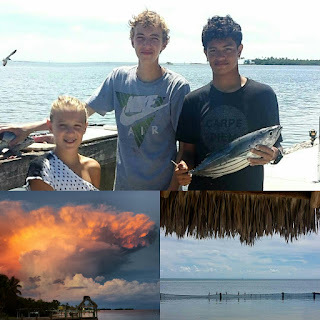 Welcome to my backyard--the Florida Keys! 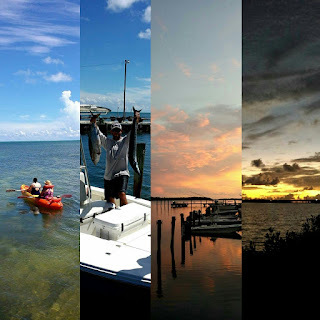 I'm a travel writer, blogger and photographer with a passion for all things Florida, especially the Florida Keys. These islands are so much more than Duval Street and Jimmy Buffet. They are rich in history, culture, cuisine, nature and events--all surrounded by pristine waters teeming with wildlife. 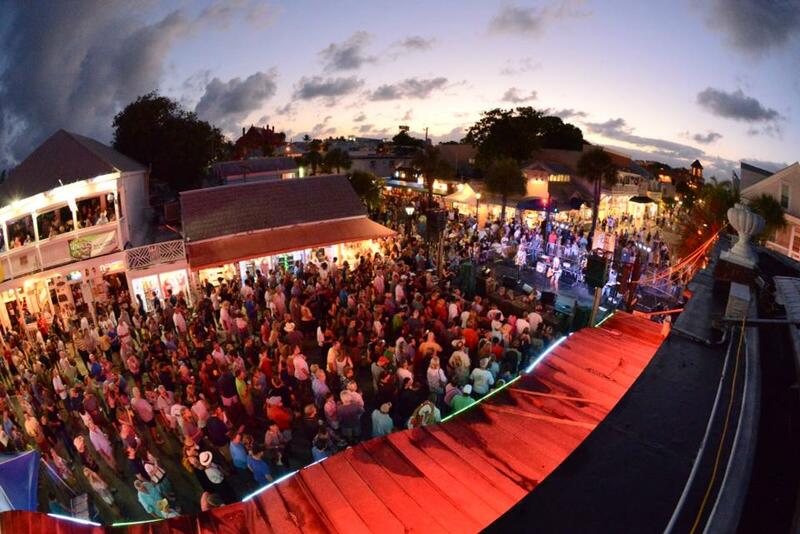 Whether you're a local or a visitor, the Conch Republic has many surprises in store. Let me be your guide. Key West has long been serious about its libations, but the rise of the Key West Food and Wine Festival to the top of the hot-foodie-destination list shows that the island has more to offer than just the perfect margarita. With its quirky vibe and come-as-you-are attitude, the Conch Republic calls for all to leave their pretensions on the mainland. 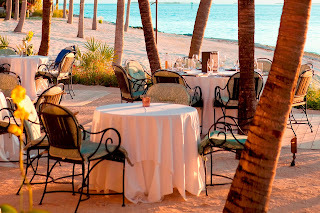 You’ll want to kick back and indulge, in true Key West style, in wines from around the world and local chef specialties featuring the fruits of the sea. This tropical bacchanalia takes over the streets of historic Old Town in January; the 2016 festival runs from January 25 through 29. In addition to a slew of tasting events, the Festival is hosting a series of winemaker dinners, which afford the unique opportunity to learn about the wines directly from the source. Buy your tickets early as seating is limited. Wednesday, January 25 from 7pm-10pm, join Master Sommelier, Joseph Spellman from JUSTIN Winery at the Southernmost Beach Cafe where Executive Chef, Matthew Slattery, will prepare a truly inspired menu for the perfect wine pairing. 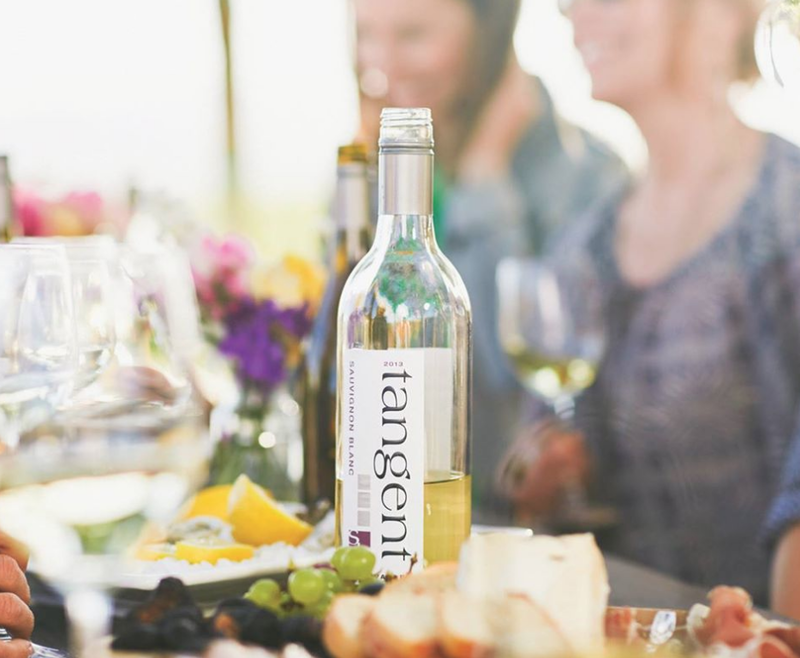 Thursday, January 26 from 7pm-10pm, ​Sara Brewer from Wayward Vines, representing Niven Family Estates, teams up once again with Chef David Furhman from Great Events Catering at the iconic Southernmost House. Plan for an unforgettable evening of food and wine at the aptly named "SEAFOOD UNDER THE STARS." Friday, January 27 from 7pm-9pm, festival favorite, Luciano Castiello, Banfi Ambassador will host an Italian-inspired Banfi Wine Dinner at The Reach Resort. The evening will feature a wonderfully curated menu by Spencer's by the Sea Executive Chef Jose Gomez, complemented by Luciano's favorite picks from the Castello Banfi Collection. Saturday, January 28 from 7pm-10pm, join Anne Bousquet from Domaine Bousquet Winery upstairs at Banana Cafe. Chef Christopher Vargas and Executive Chef/owner Dominique Falkner have put together an unforgettable classic French inspired menu paired with wine from Argentina, made in the French style. Shopping for gifts to take home to your friends and family? Instead of another tchotchke for the shelf, consider souvenirs that capture the tastes and scents of Key West and the Florida Keys. ...Read more. This holiday whimsy spills across Key West — the island at the southernmost tip of the Florida Keys. Walking through the Old Town district, my eye was drawn to the twinkling lights and icicles that laced the gingerbread millwork on the Victorian homes. Giant snowflakes hung from wraparound balconies, and red ribbons and green garland really gave the columns stripes. Candy canes, penguins and even snowmen bloomed alongside bougainvillea and hibiscus. To kick off the season, I joined merrymakers on the Holiday Lights Conch Tour Train. On the hour- long ride, I coasted through the balmy night air, taking in the festive sights and singing “Jingle Bells” at the top of my lungs.\More seasonal cheer awaited on the Holiday Historic Inn Tour. 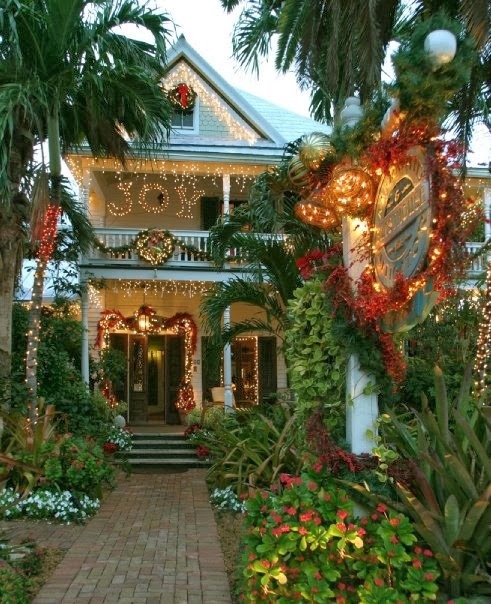 Map in hand, I followed the path of this two-hour self-guided walking tour through shaded neighborhoods, where innkeepers open the doors to their bed-and-breakfasts — six different properties each night, welcoming the public and sating us with wine and festive bites. On a past tour, the Mermaid and the Alligator B&B charmed me so much that I planned a return stay. Inside, every inch of the inn was impeccably decorated with a mix of traditional and tropical. A 10- foot Fraser fir, with mermaid and alligator ornaments, was set against walls of Dade County pine, a native wood rarely available to today’s builders. My guest room was Audubon-inspired, with soft yellows and browns, high ceilings, louvered shutters and a private garden door. I woke to the famous Key West roosters crowing, church bells tolling, and scents of jasmine and fresh-baked banana bread mingling in the air. Michelle, a stylish 20-something from Italy, and resident mascots Havana and Caya, two flat-coated retrievers, joined me for a breakfast of frittatas and coffee poolside near the namesake statue of a mermaid kissing an alligator. Early evening is prime time to visit the renovated Historic Seaport district’s Harbor Walk of Lights, a boardwalk decked out with Christmas trees and towering palms wrapped in lights. 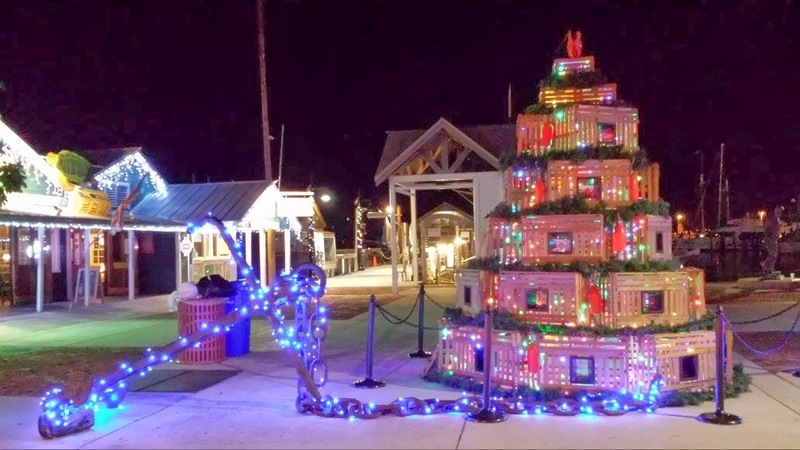 The seaport hosts various events as part of the Bight Before Christmas Holiday Celebration; the Lighted Boat Parade is one you don’t want to miss. Prime viewing for the spectacle is at the Schooner Wharf Bar, where the boats cruise close to the docks and judging station. As families and friends celebrated both on land and on water, I felt the pull of this small, close-knit community at the very end of U.S. Highway 1. 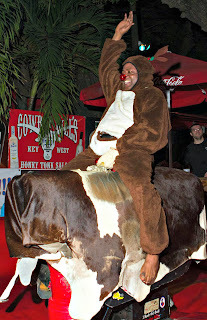 You truly can go south and find a holiday spirit worthy of the North Pole. Portions of this blog originally appeared in Florida Travel + Life Magazine. 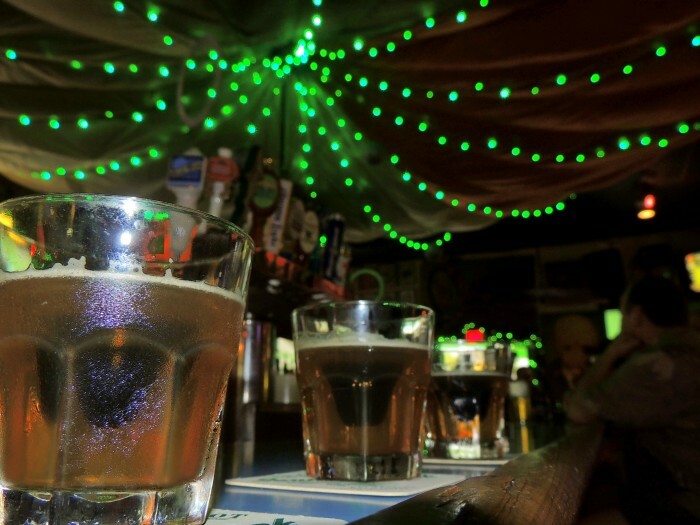 While the Florida Keys are known for some of their famous watering holes like Sloppy Joe’s and Green Parrot, sometimes you crave a healthier kind of bar. 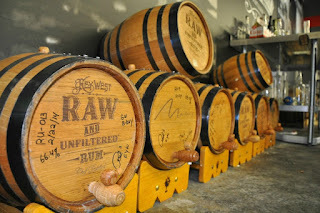 Perhaps you need a burst of energy on your way to Key West or a hangover cure when heading back to the mainland? 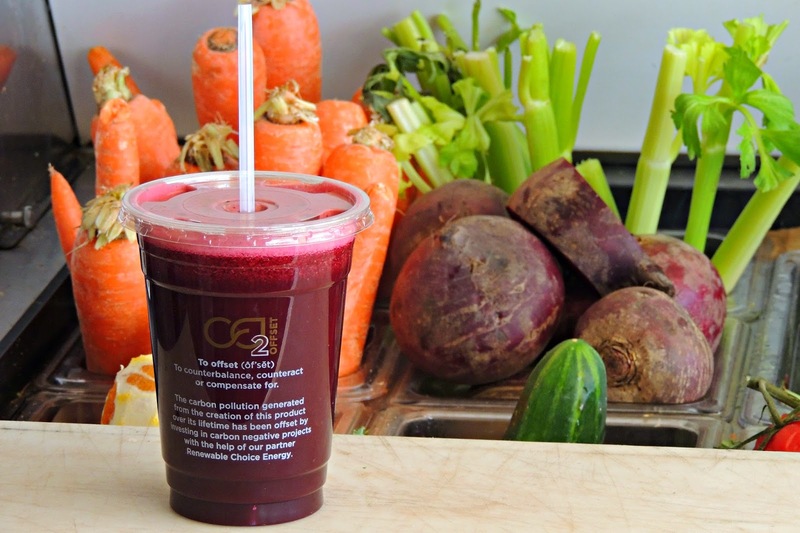 Now with the recent addition of Urbn Grdn in Islamorada, there are juice bars for a quick pit stop at any point on your road trip through the Keys. ...Read More. 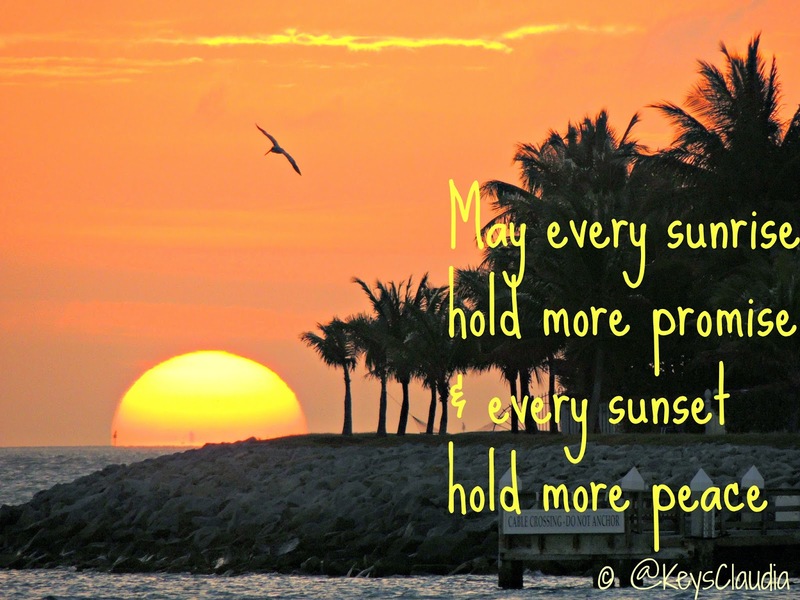 Here's a little something to brighten your Saturday from the Florida Keys. I snapped this epic sunset in Key West at LIQUID, Ocean Key Resort & Spa's newly revitalized pool, bar and lounge. The sunset views (and the mojitos) can't be beat! 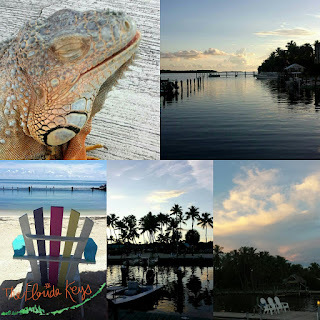 Check out these tips for a fabulous Florida Keys getaway that won’t break the bank. Don’t travel on holidays. Mid-week and low season offer the best hotel prices. Not only will you be getting the best value, the islands will be less crowded and more enjoyable. Get a hotel room with a kitchen. Stop at the grocery store on your way into town for snacks, drinks and simple meals. This way, you won’t be at the mercy of a mini-bar or high-priced room service. Utilize the Chambers of Commerce. They’ll mail you information for free, and their website has a calendar full of free or cheap festivals and events. At the visitor centers, they have a variety coupon books, and the people who work there are incredibly knowledgeable about the area. Gas up in Key Largo. As soon as you hit Key Largo, fill up your tank. Gas goes up in price the further south you go. Indulge at the seafood markets. Fresh stone crabs, Florida lobster and Key West pink shrimp are sold at a premium at the restaurants. Visit the Key Largo Fisheries, Keys Fisheries in Marathon or the Eaton Street Seafood Market in Key West to get these local delicacies straight from the boat and at a fraction of the price. Take a picnic to the beach. Want inexpensive waterfront dining? Many of the beaches have grills and picnic tables. Head to Fort Zachary and cook up the goodies you bought at the market! Try the upscale restaurants at lunch. If there’s an expensive restaurant that you are dying to try, see if they have a lunch menu. Often the prices are cheaper for the same items—usually in smaller portions. Shop the discount stores. Beall’s Outlet often has souvenir t-shirts, and it’s a great place to shop for any hot-weather gear you may never wear again. The Dollar Tree is perfect for any toiletries or small items you many have forgotten, and Kmart has a nice selection of inexpensive snorkel gear and water toys. 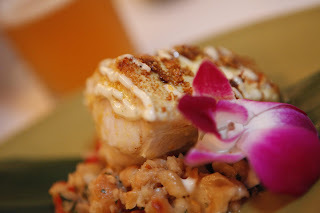 Explore Cuban cuisine. Several Cuban restaurants like Denny’s in Key Largo and El Siboney, Sandy’s and Four Brother’s in Key West have delicious food at reasonable prices. Skip the Starbucks and get a café con leche for half the price. Take advantage of happy hour. Many of the restaurants and bars have amazing food and drink specials during happy hour. 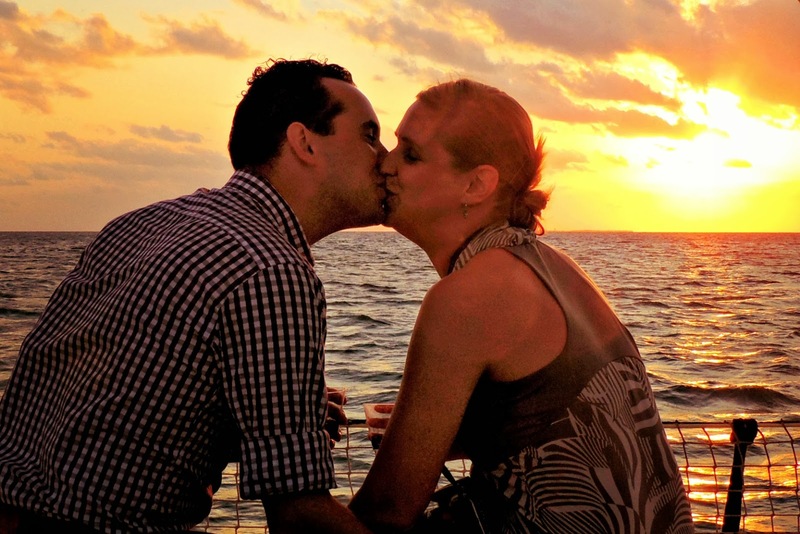 Have your fill, and then go watch the sunset for free at a park or Mallory Square. Got any more money-saving tips? Share them in the comments below! The dates for the 2016 Humphrey Bogart Film Festival in Key Largo have been announced! The successful event, which drew Bogie-lovers from around the world last year, will be October 12-16. This year, they celebrate the 75th anniversary of The Maltese Falcon. 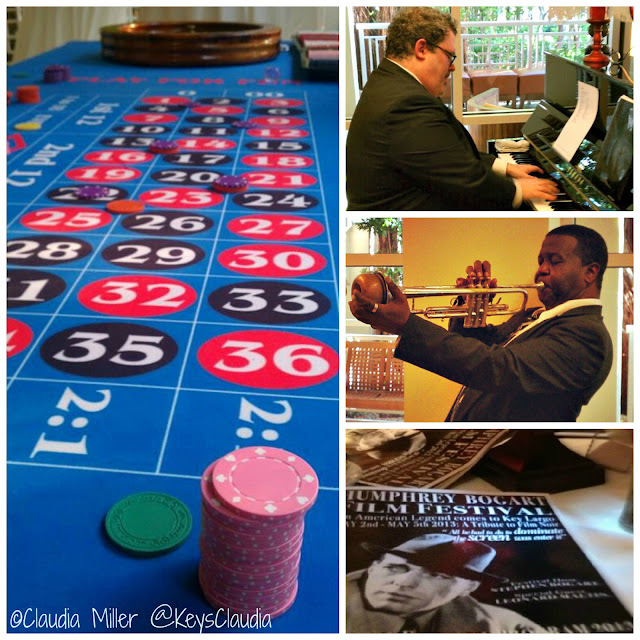 The Casablanca-themed Bogart Ball was a hit last year in Key Largo. Luminaries such as Stephen Bogart, son of Bogie and Bacall, and Jack Huston, actor and grandson of director John Huston were on hand for an evening of fun. Well-known film critic Leonard Maltin shared his insights on Bogart's legacy as the tough guy with a heart of gold. We were treated to a cocktail reception filled with jazz trumpet and piano music a la the film, casino-style gambling and passed hors d'oeuvres. Dinner was a spicy Moroccan-themed menu capped with a delicious baklava dessert accented with cinnamon whipped cream. Dancing continued into the night, and the inaugural Humphrey Bogart Film Festival was deemed a success by all who attended--some from as far away as Australia. Key West has a well-earned reputation as an adult playground in the Florida Keys, but the Southernmost City is also full of family-friendly activities and restaurants. 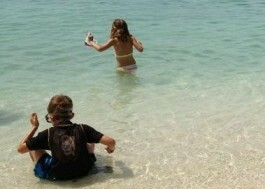 Now that summer approaches, check out these tips for traveling with children in Key West. Before you go, check the calendar of events. You don’t want to unwittingly show up during Fantasy Fest when costumes can be minimal or Bike Week when Duval Street is full of thousands of roaring Harleys. Other events like the Seafood Festival with live music and children’s activities or Civil War Heritage Days with live battle re-enactments will be more fun for the entire family. Avoid lower Duval Street. The end of Duval Street closest to Mallory Square is party-central with the highest concentration of popular bars like Sloppy Joe’s and Irish Kevin’s. The “It’s 5 o’clock somewhere” vacation mentality means that drinking starts early and ends late. Get in touch with nature. Spend a day at the beach at Fort Zachary Taylor State Park. What kid wouldn’t enjoy exploring a real Civil War-era fort, snorkeling in the crystal clear waters and watching the boat traffic off shore? At the Butterfly Conservatory, youngsters will be in awe of the 800 fluttering butterflies, and at the Key West Aquarium, they’ll delight in sea creatures that they can touch and feed—including a shark. 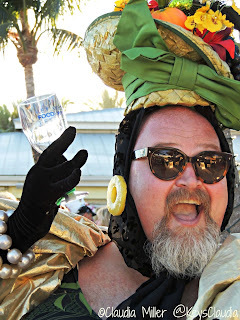 Key West history can be fun. At the Hemingway House, older children who have read the author’s works in school will enjoy hearing about his adventures, while younger children will be enamored by the 40-50 six-toed cats on the property. 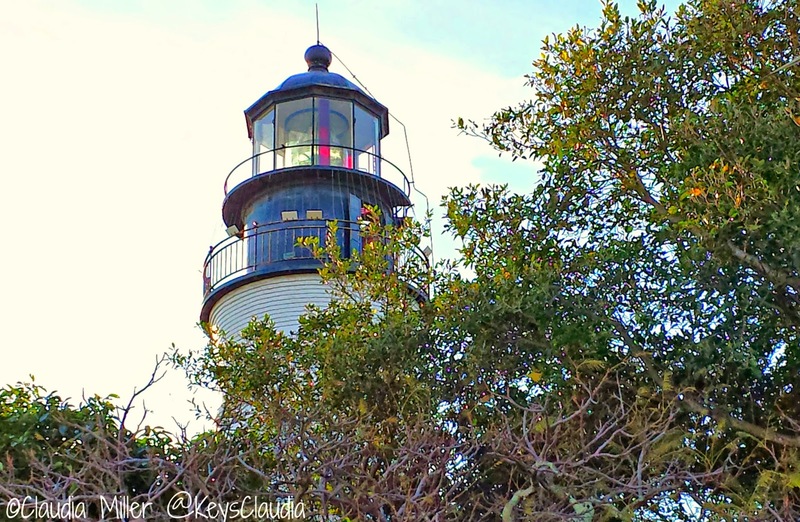 Across the street, all ages will love climbing the 88 steps to the top of the 1848 Key West Lighthouse to see the sweeping views of the island. Visit these family-friendly restaurants. Mattheessen’s on White Street offers American faves like hamburgers, hot dogs and old-time BBQ. Their half-pound cookies and old-fashioned sundaes are sure to be a hit. For Cuban fare that won’t break the bank, head to El Siboney, or chow down on the local catch at Conch Republic Seafood Company where kids blend right into the bustling vibe of the open air restaurant. It was a warm, muggy afternoon, and the sky couldn't decide between a drizzle and a downpour. 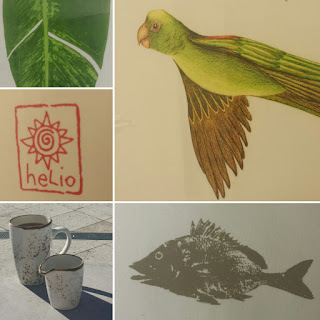 As I walked in with my buddy, a seasoned tour guide and regular at the Parrot, the bartender, Annie, threw down some coasters in front of us, and said to him, “You’re late.” I wanted something cool and refreshing, but the Parrot is not the kind of place you order a frozen drink. I mean, you could, but everyone would look at you like you were a rookie who took a wrong turn off Duval Street. Chocolate nirvana is hidden in a small pastel building on Highway U.S. 1 at the top of the Florida Keys. As a true chocophile, I felt like I had won the golden ticket when I opened the door to Key Largo Chocolates and inhaled the intoxicating aromas emanating from their kitchen. Here I found Kristie Thomas whipping up her homemade truffles. 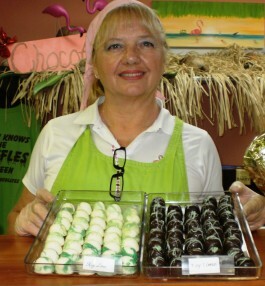 With her pink headkerchief and green apron, Thomas, the only chocolatier in the Keys, came out from behind the curtain separating the kitchen from the retail space, and I saw her assistants in the back popping out hand-pressed Key lime chocolate shells that are sold at gift stores throughout the Keys. Thomas has been baking and working with candy her whole life, but she and her husband, Bob, finally decided to take her talents large-scale last year. She developed the recipes for her chocolate shells and handmade truffles through a lot of experimentation and sources top-quality chocolate from Belgium, France and Madagascar. She explained that like a fine wine, a connoisseur would detect the different flavor notes. In the name of research, of course, I had to sample this delectable blending of spicy flavors in a dark creamy ganache filling that evoked the essence of pumpkin pie, albeit one that’s been dipped in chocolate. (Now there’s an idea for Christmas dinner!) Next, I tried a Key lime seashell, dark Key lime chocolate bars sprinkled with salty pistachios, and then her new peppermint bark. I selected several more gem-like truffles from the large glass display case to take home: coconut topped with toasted shavings, orange imprinted with a modern tropical motif, chocolate covered caramel with a dash of sea salt, dark chocolate raspberry made with real pulp, and dark chocolate Key lime topped with a dusting of edible green glitter. I’m already planning my return trip to try her next creations: holiday hazelnut toffee and a passionfruit truffle with triple sec. If you can’t make to their shop at mile marker 100 in Key Largo, visit their website -- they ship -- at keylargochocolates.com or call 305-852-1791. On Twitter? Love live music? In honor of the upcoming Key West Songwriters Festival, the upcoming #flkeys chat will be all about music in the Florida Keys! Join in Wednesday, 4/27 from 2-3PM EST for fun info on local musicians, live music and festivals. 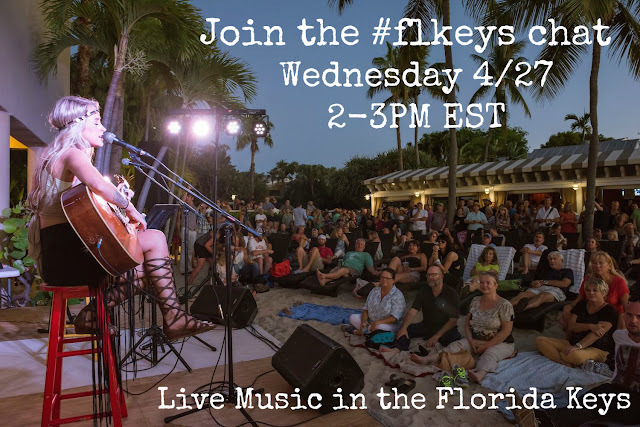 Just look for the #flkeys hashtag and join us! I'm super excited to be heading to the 21st annual Key West Songwriters Festival Wednesday through Sunday, May 4-8. I'll be joining audiences rocking, swaying and singing along to some of America’s hottest contemporary hits and classics. More than 200 songwriters will showcase their chart-topping offerings during the five-day event, performing 50-plus shows in casual island settings--many of them with free admission! Scheduled hitmakers include Jake Owen, who rocketed to stardom with the album “Barefoot Blue Jean Night”; Rhett Akins, who has penned 20 number-one singles; acclaimed Texas-based songwriter/entertainer Robert Earl Keen; Jack Ingram, whose notable offerings include the summertime anthem “Barefoot and Crazy”; Liz Rose, acclaimed for co-writing smashes with pop sensation Taylor Swift; and Natalie Hemby, who has collaborated on numerous cuts for Miranda Lambert and Little Big Town. Presented by international performing rights organization BMI, the Key West Songwriters Festival concludes with five afternoon and evening shows Sunday, May 8. See you there? Whether your passion is nature, history or architecture, Key West is overflowing with distinct attractions that defy the "tourist trap" stigma. From isolated beaches in the shadow of Civil War Forts to garden sanctuaries filled with thousands of butterflies, the tiny island has hidden treasures just waiting to be explored. Put down that margarita, and grab a map. You'll quickly see why the Southernmost City has been a mecca for Presidents, creative luminaries and quirky characters alike since the 1800s. ... Read More. Capturing sunshine in a pan, Key lime pie represents the heart and soul of the Florida Keys. Each slice is a reflection of the pioneering spirit that led settlers to these isolated islands in the 1850s. Fresh milk was scarce, but the indigenous Key limes were plentiful. When condensed milk reached the market in 1856, it became the perfect marriage of ingredients. The acidic lime juice when mixed with egg yolks and condensed milk caused the filling to thicken without baking—a process called souring. The creamy concoction was poured into a pastry crust and topped with a whipped meringue made from sugar and the leftover egg whites. A classic dessert, named the official Florida state pie in 2006, was born. Variations of the original recipe have emerged over the years from the graham cracker crust to whipped cream topping. Only one rule holds true: Key lime pie must be made with real Key limes. 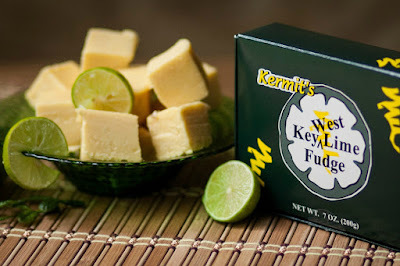 In 1965, Florida State Representative Bernie Papy, Jr. even tried (unsuccessfully) to make it illegal for anyone to advertise Key lime pie not made with Key limes. The unique taste of the Key lime is more tart and aromatic than Persian limes, which have a slight bitter flavor. The juice is yellow, making the filling of any Key lime pie a pale yellow—never green. Want to embark on your own quest to discover the best Key lime pie? 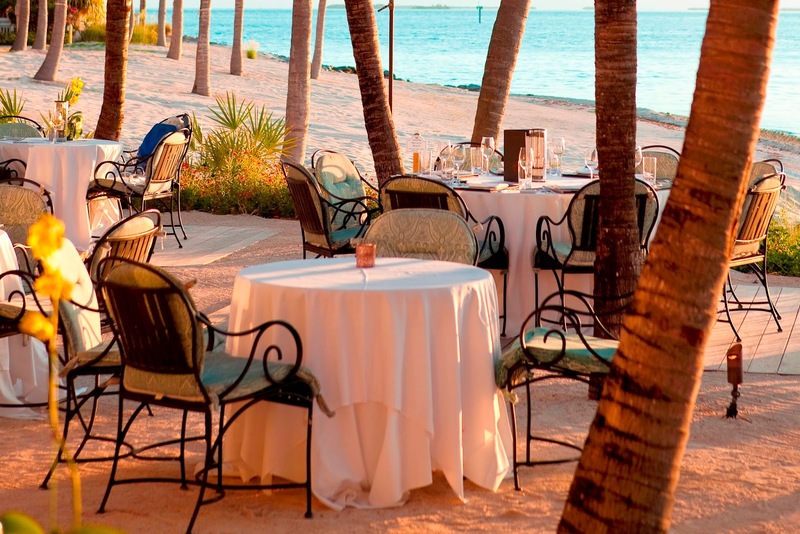 These five restaurants always make the shortlist of favorites in the Florida Keys. Key lime pie is the perfect finish to a meal of fresh local seafood. It’s fitting that the creamy dessert at the Fish House has been making mouths water for more than 25 years. José Ornelas has been baking the pies for 20 of those years, providing the delicate touch needed to whip the meringue topping into the perfect peaks and valleys. People driving by on U.S. Highway 1 have been known to pop in for a slice after simply smelling the pies baking in the oven. The Fish House recipe balances equal parts sweet and tart and uses the graham cracker crust, which became more popular than the pastry shell in the 1940s. They bake 100 to 200 pies a week, depending on the season, for both the main restaurant and their sister eatery Encore. You can pick up a bottle of Key lime juice if you want to try and bake your own pie once you get home. They’ll happily give you the recipe. You can’t miss the glowing neon sign advertising the award-winning Key lime pie at Mrs. Mac’s Kitchen as you drive down U.S. Highway 1 in Key Largo. Featured on PBS’s Flavors of the Florida Keys and Check Please as well as in Cosmopolitan and Travel + Leisure magazines, their silky pie is more on the sweet side. Perfect for a hot tropical day, they serve a cold version more similar to an ice cream pie in texture. The recipe, in use since 1976, was handed down from the original owner’s mother, who is the namesake of the restaurant. They bake their pies daily, using a graham cracker crust for the base and a fresh whipped cream topping. Hungry patrons savor about 200 slices a day, and the restaurant mails an average 300 pies per year to devotees around the country. Now with a second location, also in Key Largo, Mrs. Mac’s makes it easy to stop for a slice on the way south to Key West and north back to the mainland. At MA’s Fish Camp, Barbara Cockerham bakes Key lime pies daily in small batches. A Keys resident for over 48 years, she remembers the joy of watching her mother baking and aims to invoke that same nostalgia in the diner. She uses the meringue topping in the spirit of tradition, but each slice also comes with a dollop of fresh whipped cream. The meringue is so delicate that the pies have to be kept at eight degrees until sliced up and served on a cold plate. The tart filling is the consistency of a chilled stick of butter and layers nicely with the nutty graham cracker crust. During the high season, Cockerham makes at most 15 pies a day, so make sure you put your orders in early. They’ve been known to run out. MA’s doesn’t ship their pies, so you’ll have to make the trip to taste her delicious creations in person. es more than 125 products made with Key limes from cookies to soaps. Spend some time at the tasting station sampling sauces and jams like Chipotle Key Lime Barbecue Sauce or Key Lime Jalapeno Pepper Jelly. 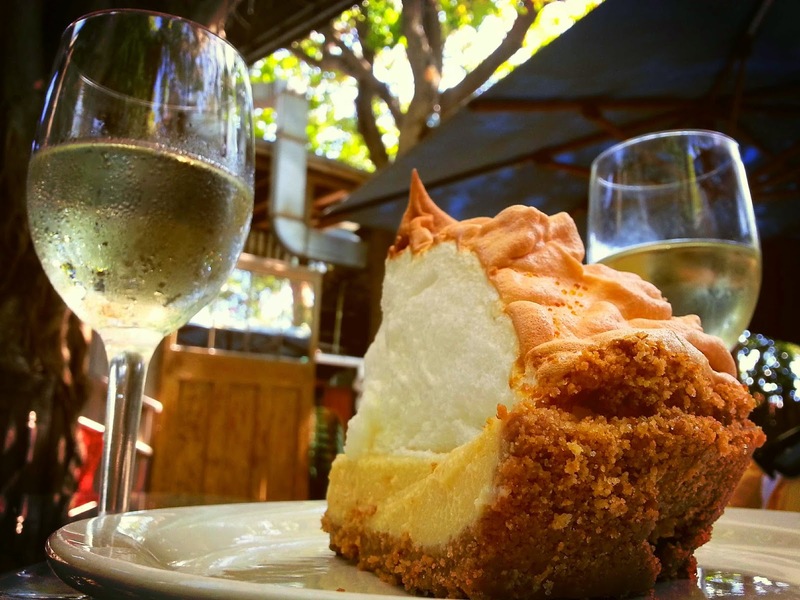 Meringue lovers will be in, well, heaven at the funky Blue Heaven Restaurant in Key West’s historic Bahama Village. Featured most recently on Travel Channel’s Bizarre Foods with Andrew Zimmern, their mile-high topping is whipped into tall airy peaks and valleys and lightly tanned in the oven. Country crooner Kenny Chesney loves it so much that he flew his grandmother from Tennessee just to have a slice. Since 1994, owner Richard Hatch has based the recipe on his mother’s classic lemon meringue pie. The limes are fresh-squeezed for each pie, and they go through about a case each day. Blue Heaven also wins the contest for best atmosphere. Their private courtyard (once home to Hemingway’s boxing matches) is filled with roaming chickens and lounging cats soaking in the sun. Grab a seat outdoors under the shaded canopy of the gumbo-limbo tree and prepare to be wowed. Are You Following KeysClaudia on Snapchat? Do you spend all your time at work looking at tropical wallpapers and webcams in the Florida Keys? Follow me on snapchat for your daily dose of paradise. My stories are filled with sandy beaches, sunny skies, wildlife and all the action on the water--not to mention the sunsets! Since the stories expire in 24 hours, you get to experience everything in real-time--and get that much closer to your vacation! Add me on snapchat: KeysClaudia. Take a drive back in time down U.S. Highway 1 in the Florida Keys and relive the history of the Over-Sea Railroad. 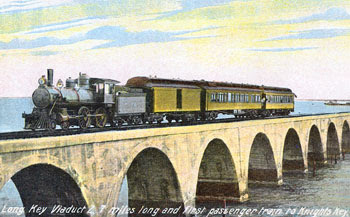 Construction to link the isolated islands to the mainland began in 1905 when oil tycoon Henry Flagler envisioned Key West as an ideal deep-water port for trade with Cuba, Latin America and ships passing through the Panama Canal. The railroad was destroyed during a tragic hurricane in 1935, but you can still explore remnants of what was once called the “Eighth Wonder of the World.”...Read More.